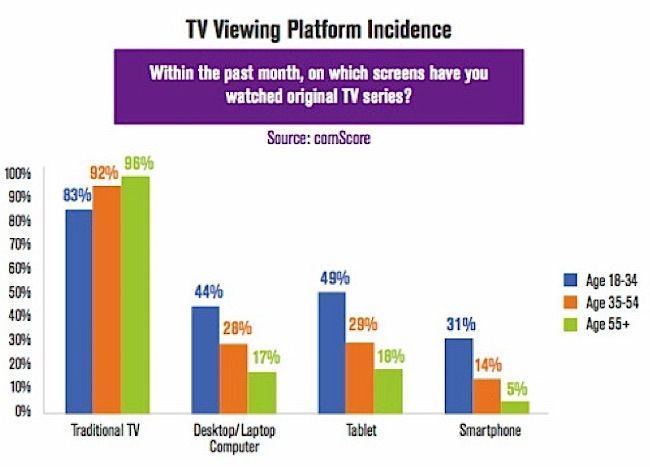 Since multi-channel free-to-air television went digital, the amount of program choices has increased, but its not always what the public wants. The viewer is heading online to satisfy their needs, with the government and free-to-air station’s answer for more eyeball fodder, being the abundance of dedicated shopping channels that swell our airwaves. Channels that are devoid of program content are not in the spirit of the original TV licensing conditions set in 1956, for stations showing non-stop commercials do not involve community enriching content. No one in their right mind would have suggested that in the pioneering era, nor would the audience have accepted it. 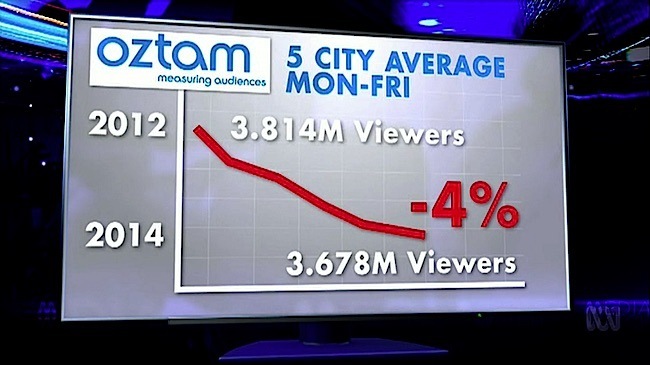 This shows how fickle government policies can be, and we can only image what Canberra may have in store for us in coming years, if viewer apathy persists. In fact this disinterest is manifest in the viewers going elsewhere for their content, so in the long run, the free-to-air stations are shooting themselves in the foot for short term profitability in a shrinking market. As research shows that demand for newspapers and traditional television delivery are on the decline, and will eventually go the same way as sailing ships, horse and carts, steam engines and the Dodo bird… except probably for immediate content such as important breaking News and Sport, that is of a live nature. This explains why the Australian networks are dabbling with streaming content, to establish a foothold before they are blitzed by the likes of Netfix and Apple TV providing alternate forms of delivery for US networks and cable production houses. An interesting trend that provides insight into how future citizens will consume their content is provided by the incredible popularity of the British cartoon icon Peppa Pig, which can be found several times a day on the ABC’s children channel in five-minute episodes. The show has millions of screaming pre-school fans worldwide and has the ABC managing director Mark Scott saying that Peppa Pig and iPads are the future of TV, for there’s just that sense of ‘I want Peppa Pig and I want it now’. More than 70 per cent of ABC iView’s traffic comes via mobile devices, 16 per cent from the ABC website and 14 per cent through connected TVs. This is a strong indicator that as the pre-schoolers grow up, they’ll be conditioned to watching shows on demand, so the public expectation will be that technology will seamlessly deliver their viewing experience when they want it and not when some network scheduler dictates. 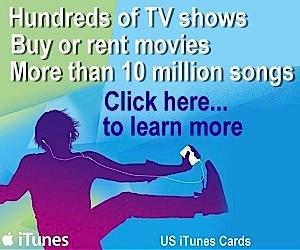 The current five channels that provide non-stop shopping promotion include eXtra one and two, TVSN, Spree TV and 4ME. The other stations also dabble with home shopping, and can’t help but notice that the current affairs shows also venture into product promotion. 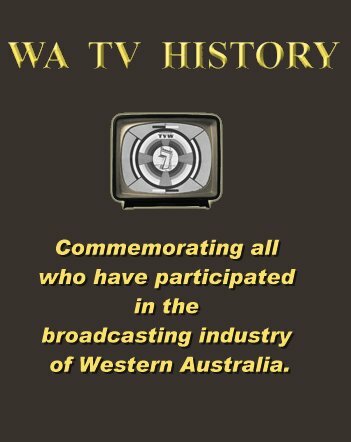 Apparently the Federal Government thinks that this on-air activity is more important than keeping the community television stations, such as WA’s West TV, on the airwaves, now that Communications Minister Malcolm Turnbull has indicated he will shift community television to Internet streaming. Technology the younger generation is more familiar with, thus disenfranchising the older generations, robbing the community TV stations of much of their audience. It makes one think that the politicians are brain dead, for there’s no end to poor decision making when it comes to regulating the media. Much as they think that century old telephone wires are the way to distribute the Internet, rather than fibre optic to each home and business. The same politicians also have been pushing the use of coal power over renewable energy, despite being ridiculed by the leaders of other nations. Meanwhile the spectrum used by community television may be allocated to a fourth commercial channel or auctioned off for millions of dollars and used to provide new services such as high-speed mobile broadband or other data services. The government obviously measures community good in how much the treasury gains and the perceived uses it can be put to by the business sector, rather than enriching the community at large. Governments have a tendency for making poor decisions when judged over the long term. The commercial broadcasters are worried about declining profitability should they lose audience share and advertising revenue. So a fourth commercial channel will have adverse consequences on the existing licensees. I guess the outcome will depend more on who has the most effective lobby, rather than what the electorate really wants. Whenever a business model is perceived as not fulfilling community needs, alternate schemes come into being. Much depends on the social conscience of the government of the time to meet unfulfilled public wishes, otherwise not-for profit bodies attempt to fill the void. The Perth Institute of Film & Television (PIFT) was incorporated in 1971, then merged with Frevideo ten years later to become the Film & Television Institute WA Inc in 1982. They were established as video production and training centres that could be used to produce television programs. Community television stations evolved to provide a vehicle to distribute this content to the public. Some portions of the commercial sector of yesteryear also had a social conscience in fostering skills in the program making field. In 1972, TVW was instrumental in establishing The Channel 7 Young Film Makers’ Awards to encourage youngsters. This was then followed up with The Young Writers’ Award in 1976, The Young Ballet Dancers Award in 1979 and The Young Photographers Award in 1980. Community broadcasting was pioneered by radio, with Australia’s first community station being Radio Adelaide (5UV), which was licensed in 1972. The community broadcasting sector is largely self funded. The Australian Government provides some funding support through the Department of Communications (DOC), distributed through the Community Broadcasting Foundation. The Australian Communications and Media Authority (ACMA) is responsible for the licensing of community broadcasting services. Meanwhile, community television provides ‘open access’ television to all members of the community, including educational institutions, independent film makers, ethnic and specialist interest groups and local businesses. ‘Open access’ means that anyone can apply to have a program shown on television. It also means that anyone can join a community station and learn about producing and presenting television programs, and how to run a television station. In principle, this is a model of facilitating media production and involvement by private citizens. With the commercial and ABC television stations now all emanating programs from the east coast, and production also centred there. There has been a great decline in the number of hours of true local production. The Community television stations can buck this trend if the authorities do not put obstacles in their way. Taking them off the air is certainly a deterrent for sponsors to support them if their audience can no longer receive them on their television sets. For community television stations rely on sponsorship arrangements to cover their day-to-day running costs. Unlike advertising, the sponsor’s announcement must acknowledge the financial support of the sponsor for the station. This is how our politicians can subtlety kill off those who are servicing the community, but do not have the lobbing power of the big media owners. Poor policies and economic pressures will eventually lead the traditional media to fall into the hands of fewer people, who are not necessarily providing better services. Just look at how News Ltd has its own agenda and acts as king maker at election time. Will this matter in the long run? Firstly, it can have an adverse impact on democracy if the News services send the public astray with misleading information. Secondly, the conventional media may eventually become irrelevant with the youth heading to the Internet in droves or become increasingly occupied with computer games, rather than conventional entertainment. 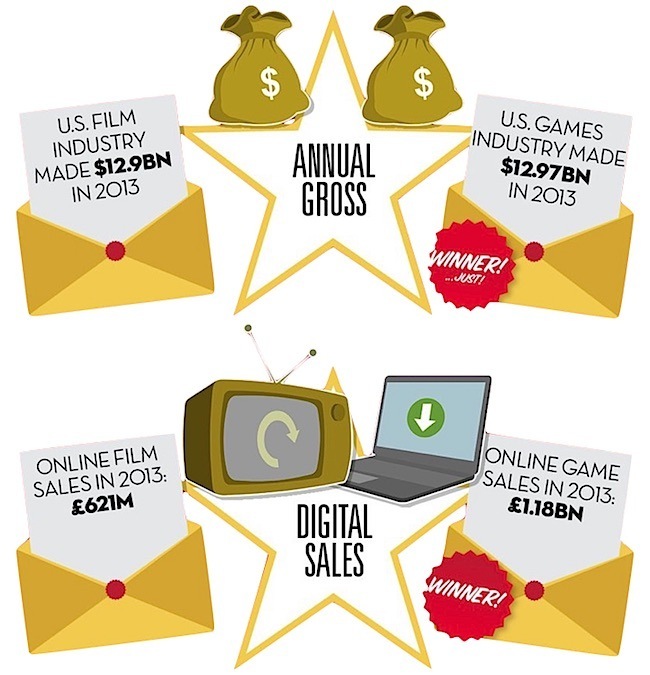 For the earning power of the games sector is now outstripping the earning capacity of Hollywood. Though history shows that once a new venture becomes successful, the old media barons then buy in to control the market. That does not mean that old minds are best at utilising new concepts. Take ‘Myspace’ as an example. News Corp took it over to only see its popularity plummet as they pushed this new media in directions that alienated the users, thus generating unprecedented losses. Facebook then took the lead, as the young entrepreneurs were better tuned in to what young people want, and responded with clever innovation to fill the void. Myspace was acquired by News Corporation in July 2005 for $580 million. 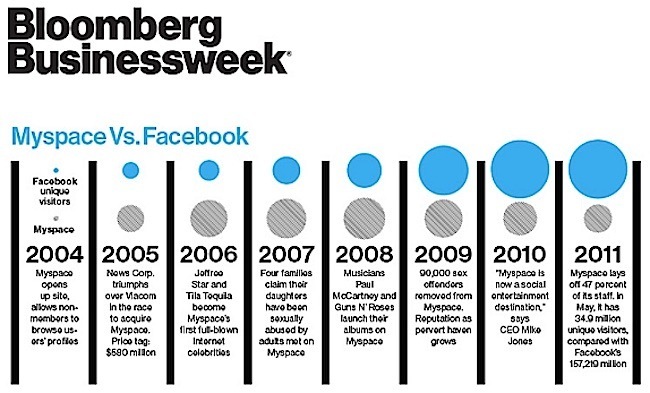 Six years later, Myspace was sold by News Corp. in June 2011 for $35 million. As much of this innovation is taking place overseas, our local politicians are powerless to stop them. Which is probably a good thing when one uses the analogy of a Camel being a Horse designed by a committee, and the painful though hilarious truths being revealed when satirical programs lampoon parliament in comedies such as ‘Yes Minister’. The parliamentary system seems not to have improved since that 1980s comedy series, as we presently can witness with the broken promises, muddled and ever changing policies and resistance met in the two houses on the hill. If conventional television continues to be centralised and controlled by Sydney and Melbourne whilst the platform becomes less relevant to the masses, then who is going to cater to the local community needs, if the government persists in harming community television broadcasters? As audiences fragment and competition increases, commercial television is in the fight of its life. 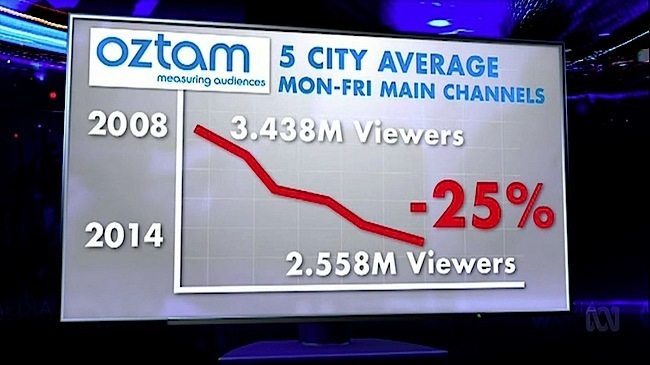 Prime Time audiences on the free-to-air networks, including all of their digital channels, have dropped by four per cent since 2012. And on the main channels, Seven, Nine, Ten, the ABC and SBS, that primetime audience has fallen by a quarter since 2008. 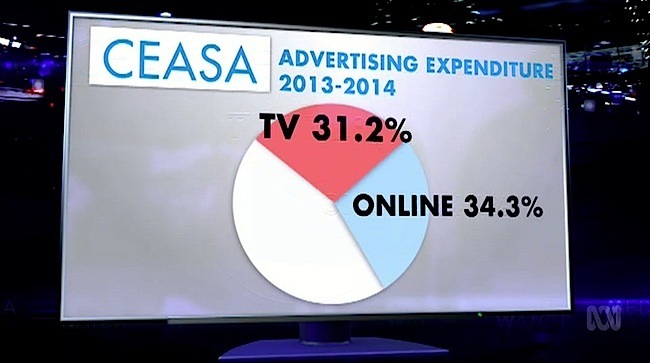 Over the last ten years free-to-air television has managed to hold onto around 30 per cent of the media ad market … but in 2014 for the first time it was beaten by online advertising. Of the 10 top-rating TV shows in 2014, half were live sports, like the AFL grand final which had more than 2.8 million viewers, while the other half were reality TV shows, like my Kitchen Rules or Nine’s The Block which peaked around 2.7 million. Communications Minister Malcolm Turnbull is proposing to abolish the 75 per cent audience reach rule which currently stops metropolitan TV stations buying regional stations. He’s also keen to scrap the rule that stops media groups owning more than two out of three in radio, TV and print. This can result in some big scale mergers in the future. With an impact similar to the creation of the big television networks where the individual stations lost their autonomy and control was centralised in Sydney and Melbourne. This would mean the final nail in the coffin for rural areas having their own independent television services. Once again meaning more media power in less hands. Over time, the politicians always seem to favour the big end of town, even if that is to the detriment of local community interests. Could you imagine it if this was taken further on an international basis, in a global economy, where Australia loses its identity and everything is centralised in New York, Los Angeles or London with one or two media owners pushing their own agendas in the supply of news and information? I don’t think that would be acceptable, like when Australia’s first television stations applied for their licenses, compared to what happens now. 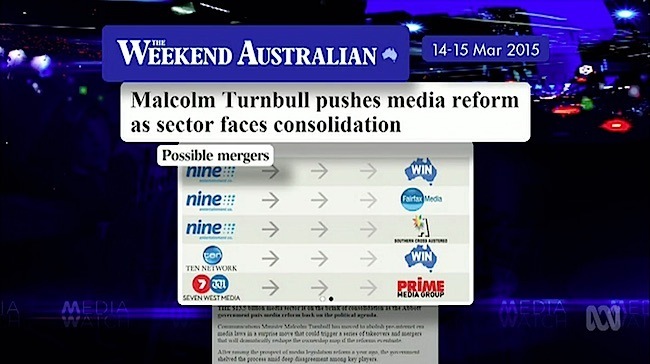 The most blatant example of this being turned on its head was when Channel TEN in Perth won its license following a big battle, after pledging to uphold local content. No sooner was the license granted than the station was sold to become part of a national network, controlled largely from the east. The legislatures needs to be held accountable for drafting workable laws which prevent these distortions, but while ever the electorate remains apathetic on these matters, the local community will suffer through increased centralisation. The more a community is fractured and the less people care about their neighbours, the more it harms society in general through alienation. An alienated youth is more likely to become rebellious and indulge in drugs and crime as established values are abandoned. They can soon become disenchanted if there is a perception that our leaders, or our system, is wanting and that it is beyond their control to make a difference. The community broadcasters are volunteers where greed is not a factor in the organisational structure. They are community minded people trying to provide a service that is lacking otherwise, where ratings and profitability have precedence over the wellbeing of others. There are cases where ‘what is good for business’ is not necessarily good for us all. Or view the show from the embedded video on the same web page. 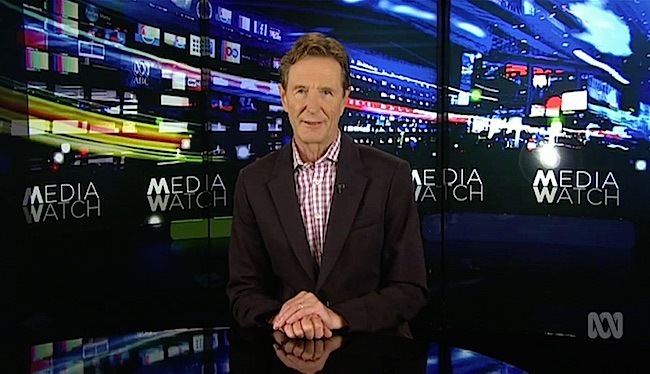 The Media Watch program touches on other important factors that will shape the future of TV. The views expressed here are those of Ken McKay.